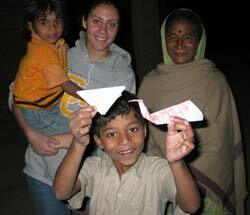 NIRMAN is a non-profit that works on education at all fronts. NIRMAN’s vision is an India and a world where girls and boys of all classes can learn equally and excellently, leaders of their worlds, their lives rich with the arts. NIRMAN runs Southpoint Vidyashram, a school for prenursery to grade 10, the Centre for Postcolonial Education, and the Arts Studios, with Music, Dance, Theatre, Film, Bookmaking and Fine Arts projects. NIRMAN seeks interns and applicants for any of its several projects. Apart from the ongoing activities, we will be building a new rural campus in 2017-18. To support this, we needs interns with skills in design, architecture, marketing and documentation.